Booking your test drives and loan cars has never been this easy. 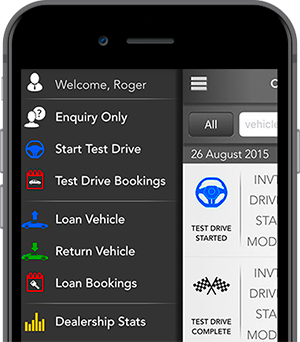 Welcome to Dealer Drive Calendar Bookings, where we've streamlined the test drive and loan car booking process to save you time and money. 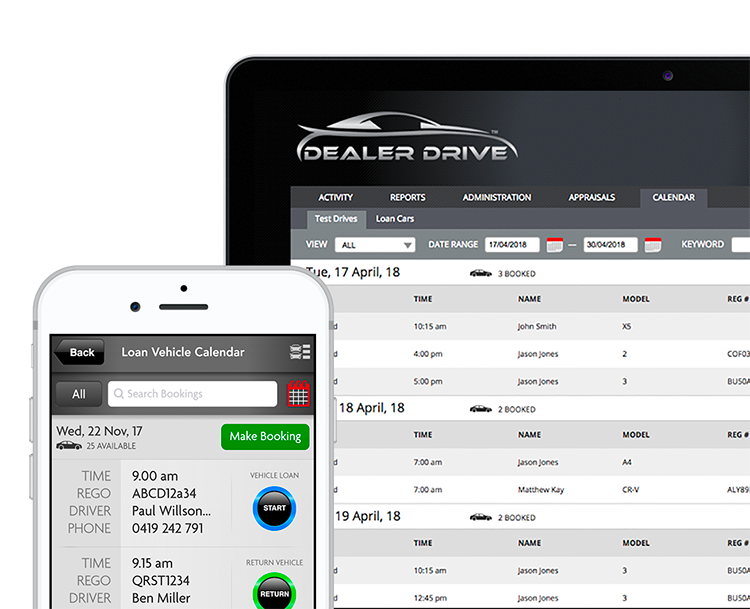 Dealer Drive has just launched the most sophisticated, user-friendly vehicle calendar bookings on the market. Say goodbye to arduous paperwork, manual errors and lengthy wait times with the Calendar Bookings streamlined process. Manage test drive bookings and service loans vehicles more efficiently. Better fleet management with pre-allocated vehicles booked via the calendar, with no chance of double-bookings by staff. View how many test drives are booked in advance, allowing management to accurately gauge possible movements and projections. Saves time with the customers’ details already being captured via the booking. Booking confirmation sent directly to the customer via email once the test drive booking has been made. Calendar Bookings is now available to existing Dealer Drive customers, so take advantage of this great new feature. It’s not just a great way to book vehicles, but to conduct introductions to your F&I department, view bookings for the month and send confirmations to the customer. If you want to get your dealership using Calendar Bookings, send us your details using the form on this page to register your interest, or call the team on +61 3 9596 3962. No more looking for paper work, Business Managers/All staff can easily look up drivers licences and contact details within seconds. I personally look after all infringements for the The Bruce Lynton Group and without Dealer Drive it could take me weeks to find a nominated driver; now its a matter of just 30 seconds! We have all our sites/dealerships linked so I can easily view our group, stock is automatically uploaded 3 times a day via our DMS to keep accurate, and there are plenty of automated reports available that allow our Managers to monitor each department on the go. We wouldn’t hesitate in recommending Dealer Drive to any dealership or group." “Our business has utilised Dealer Drive for over 18 months and we couldn’t be happier with our decision to use this product. With 3 business sites and high traffic flows, it not only acts as an excellent administrative & record keeping tool which saves time & money, but has real sales management and marketing capabilities that are easy and quick to use. The automated reporting features built into the product help us identify sales conversion ratios and acts as an excellent staff performance tool. Importantly it assists us in identifying & maximising our business opportunities and enables invaluable feedback from our customers to maintain the highest level of customer satisfaction." "Michael and the Dealer Drive team have a real focus of working with us to maximise how we use the product in our business to get the best return. Adding to this is the ongoing nature of Dealer Drive's product development, with new features and enhancements continually evolving to assist maximise our opportunities; not only with the product itself, but with how we interact with our staff, customers and prospects. Quite simply we couldn’t operate without it now!" “Andrews and Wallis Group have been using Dealer Drive since July 2014. The group implemented Dealer Drive over 4 dealerships both in Sales and Service and covers all; Loan cars, Demonstrators, Test-Drives and Staff drive cars. The Dealer Drive system is a fantastic efficient tool to manage a paperless system with simple interfaces that all staff can use easily. We have saved time and cost with no paper use or insecure storage of customer licenses.